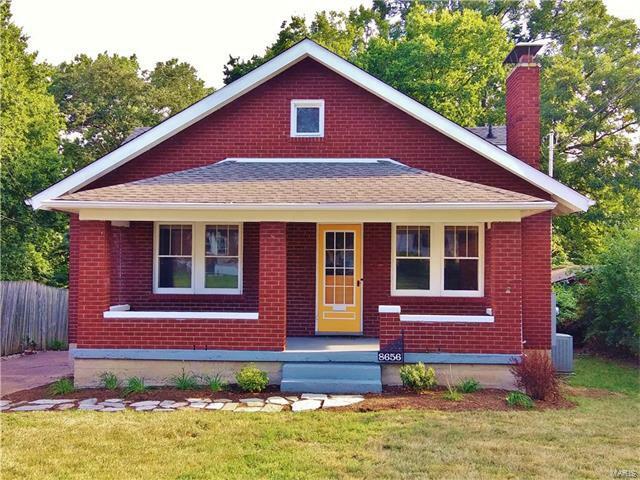 You will fall in love with this charming 1.5 story brick bungalow loaded with personality and charm. This home features 2 bedrooms, 1 full bathroom and 1, finished sq. ft. complete with a cozy fireplace. The home has been upgraded and updated with stylish paint, refinished original wood floors, new lighting, arch top panel doors, crown moulding throughout, ceiling fans, new roof, new electric service and panel. The charming kitchen has been updated with new white maple shaker cabinets with soft close hinges, counter top and stainless steel appliances and opens to a bonus room that looks onto the large yard. This contemporary bathroom is sleek in design and provides a shower/tub combo. The lower level has wonderful space as well as two storage rooms. A spacious covered front porch and nicely landscaped front yard finish off this amazing home. This great home is close to parks, schools & shopping.